Q: How do I use Clean Master Driver Booster? 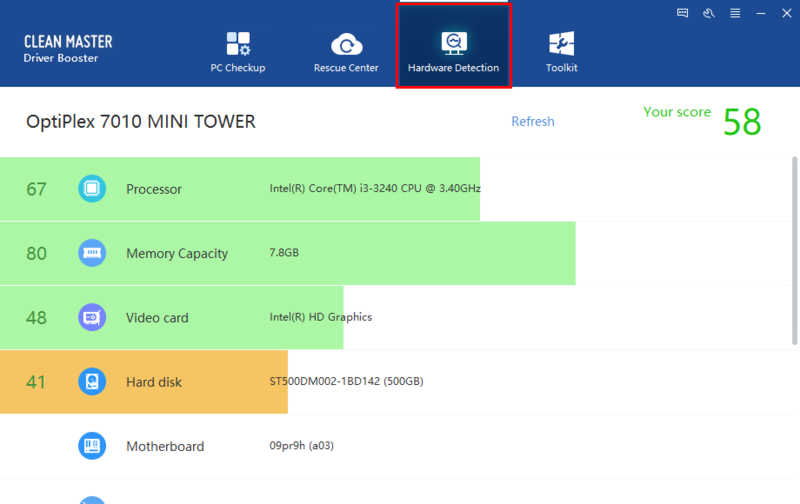 Clean Master Driver Booster is set to provide a safe scan on your computer to check all hardwares and devices. 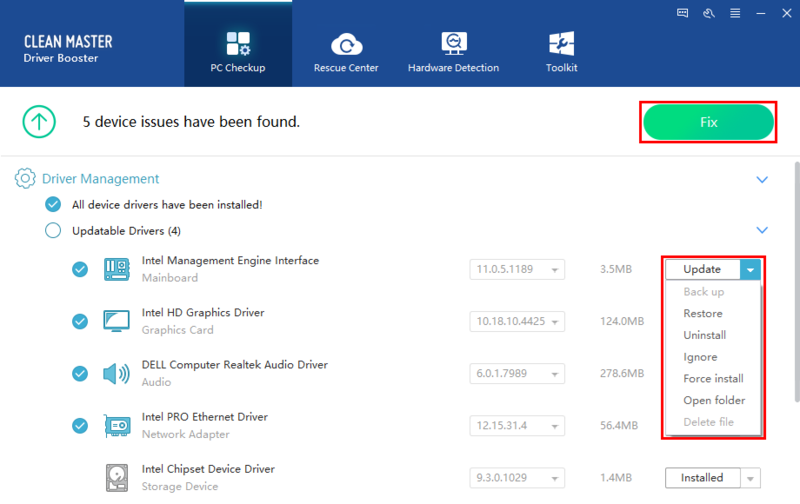 Click on the "Checkup" button, and it will help you find all outdated, missing, corrupted and incompatible drivers. 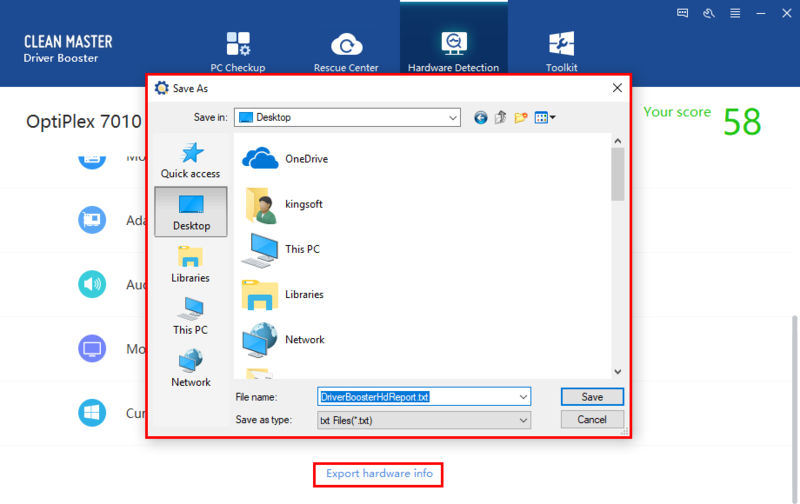 After scanning, you will have a very clear overview for your PC condition. By clicking "Fix" to solve these driver problems together. 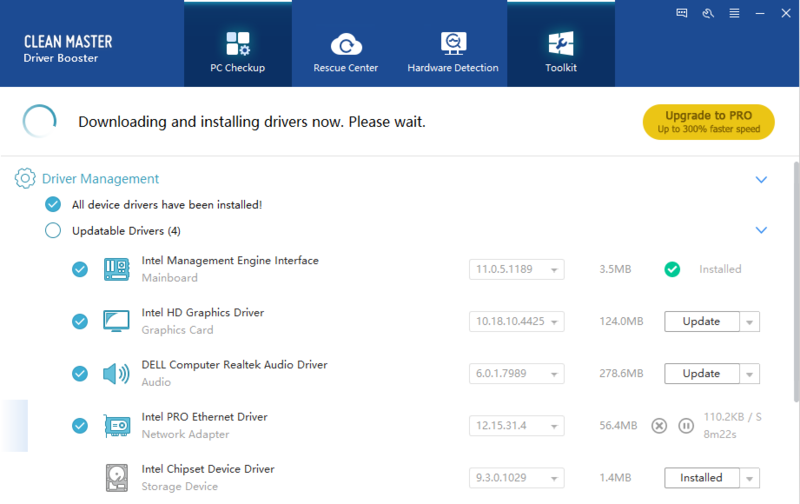 Alternatively, you can also download, update and install these drivers one-by-one. The time of downloading, updating, and installing depends on the driver size and download speed. Please wait in patient. To free up more disk space, Clean Master Driver Booster will help you clean the residual files left by driver management. 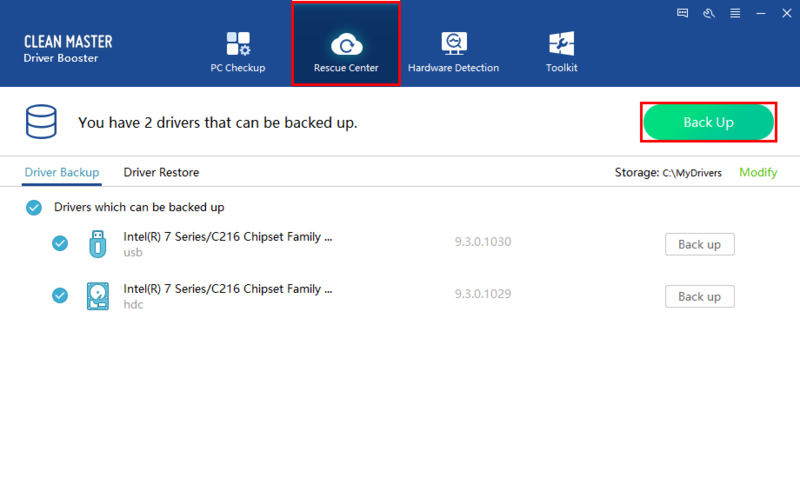 Click "Rescue Center", Clean Master Driver Booster will list the drivers that need to be backed up. 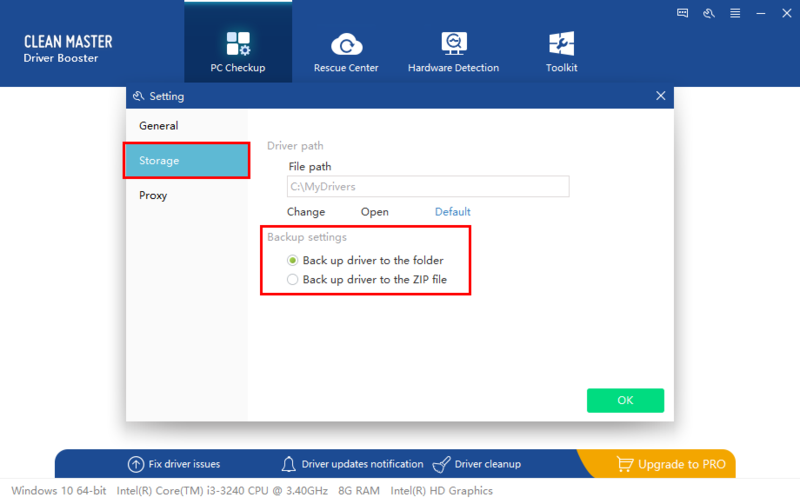 So you can select a certain driver to back up separately or one-click back up all drivers by clicking "Back Up" on the right top. 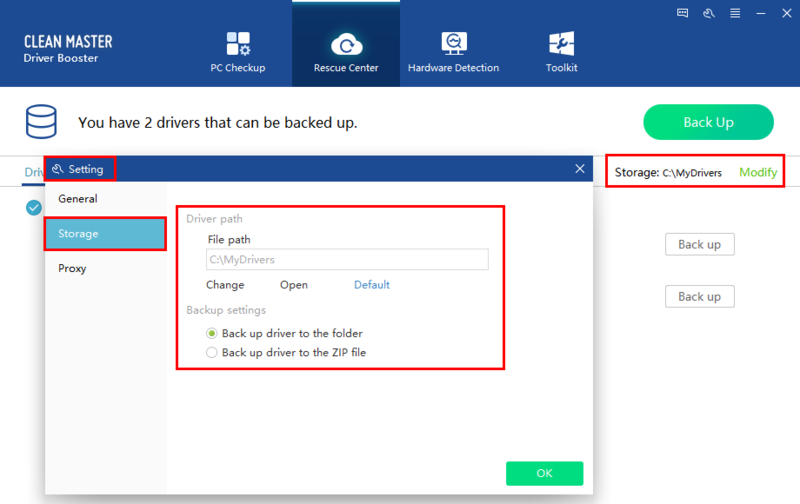 All the backed-up drivers are stored in a default folder on your computer (C:\MyDrivers\backup\). And you are allowed to modify the backup directory from here or in Settings. 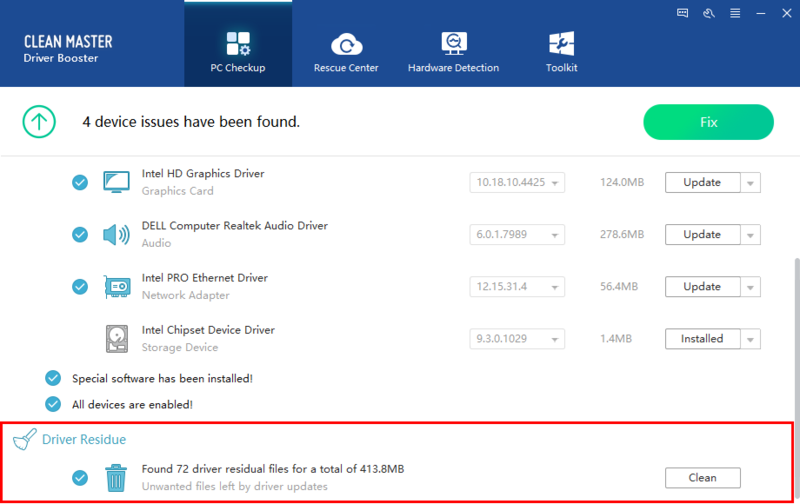 Clean Master Driver Booster will scan and detect the drivers that can be restored automatically, select the driver you want to restore and click on “Restore” button. 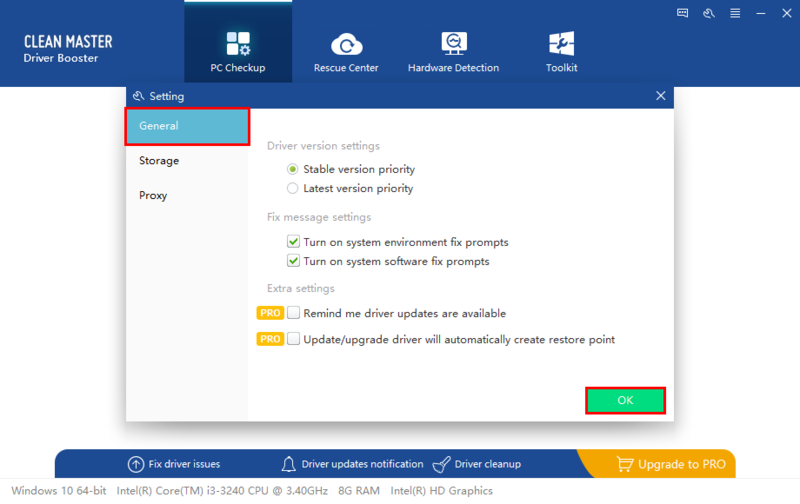 In addition, if you choose to update all drivers in one-click, Clean Master Driver Booster will create a system restore point firstly. It supports checking its creation time and choosing the restore point to restore the system. Please note, Clean Master Driver Booster only list restore points created by itself. 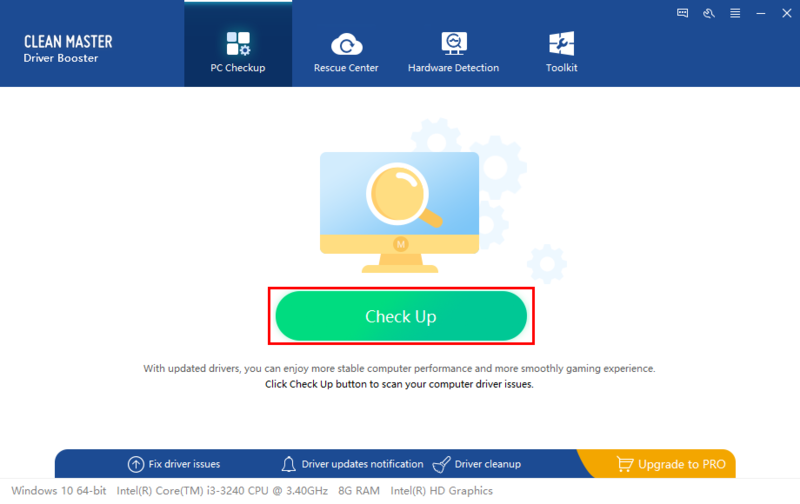 Clean Master Driver Booster offers an easy way for you to check your hardware infomation such as memory capacity, video card, hard disk, motherboard and so on. What's more, compared with other hardwares, Clean Master Driver Booster will give a rating for yours. Of course, you can also export your hardware information if it is necessary. 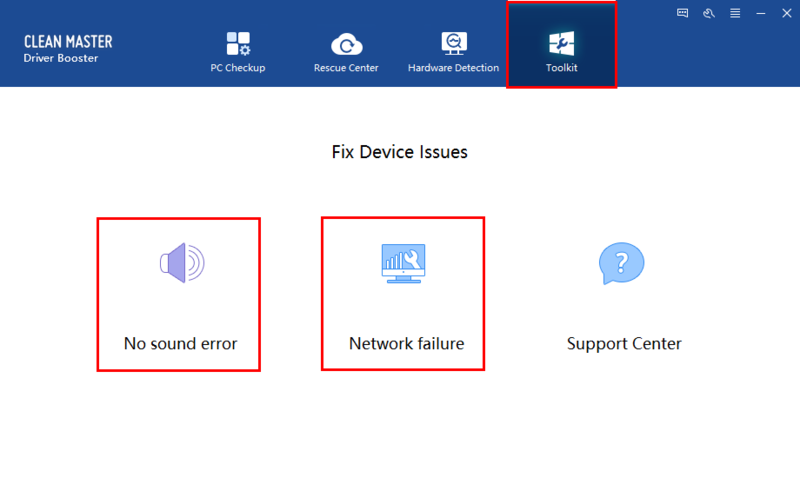 Clean Master Driver Booster will provide some professional and useful methods to check and fix some common issues like no sound error and network failure. If you have some feedback and suggestions about Clean Master Driver Booster, welcome to submit it via support center. You can change the "driver version settings", "fix message settings" and set some "extra settings" via General in settings. 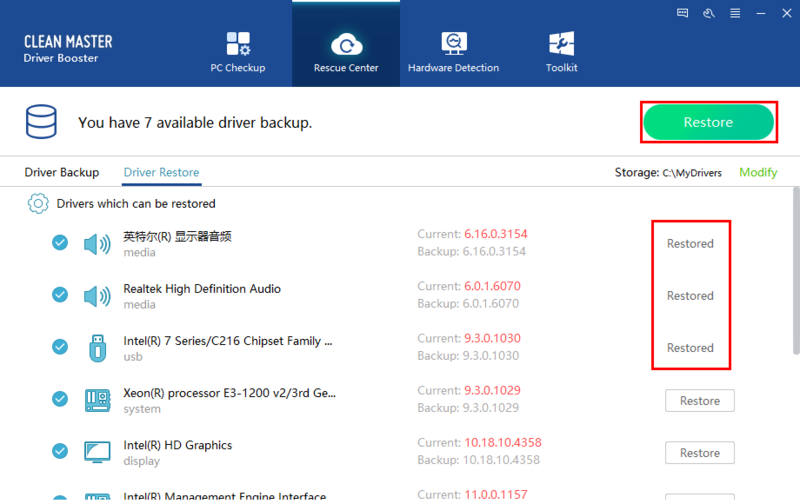 Besides changing the driver path in Storage, you can also choose its "backup settings". 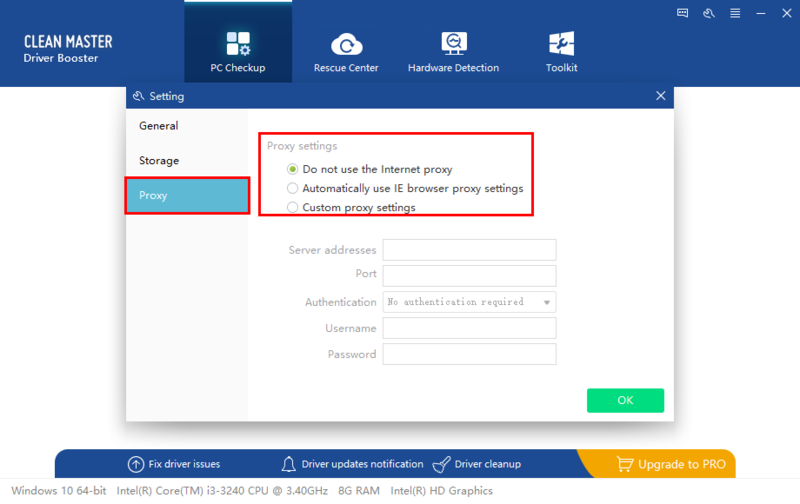 From Proxy, It is easy for you to make or customize the "proxy settings".